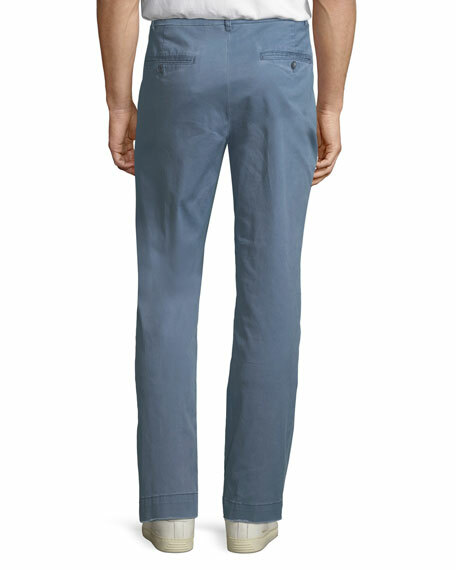 ATM Anthony Thomas Melillo pants in enzyme wash. Concealed zip front; belt loops. 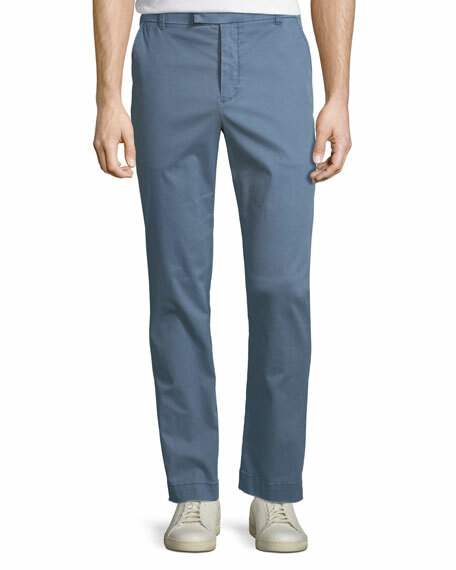 AG "Everett" fit pants in stretch-twill. Five-pocket style; signature stitching at back pockets. Leather logo patch at back waist. Skinny fit; tapered legs. Button/zip fly; belt loops. Cotton/polyurethane. Imported. 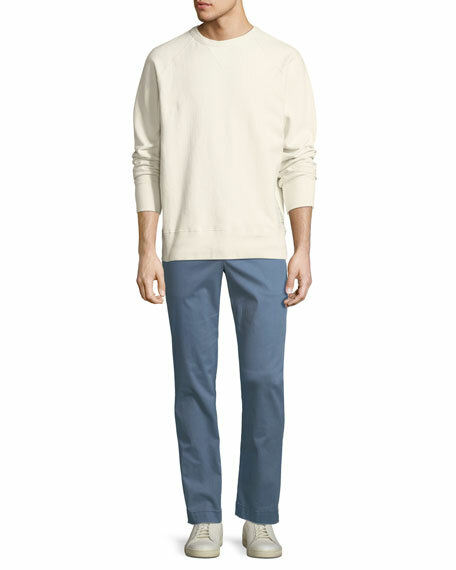 Model's measurements: Height 6'1"/185cm, waist 32"/81cm, typically wears size M.
Canali pants in stretch-corduroy. Quarter top pockets; back button-welt pockets. Straight leg tapers to ankle. Unfinished hem to be tailored to desired length. Tab/zip front; belt loops. Cotton/spandex. Made in Italy. Model's measurements: Height, 6'1"/185cm, waist 31"/79cm, suit 40, shirt 15.5x35, inseam 32"/81cm. Incotex trousers in solid weave. Quarter-top pockets; back button-welt pockets. Standard fit features flat front, normal rise, and straight leg.